Payment in full. Clementina must be feeling better as last evening she presented us with an egg. After an extremely hot Summer, the hens have taken a long time to come back into full plumage and thus back on to lay. So things are looking good for our Mrs Beeton's John Bull's Own Christmas Pudding and her Bride cake with its 24 eggs! In this post I am going to share two infusions I make for the treatment of eyes. 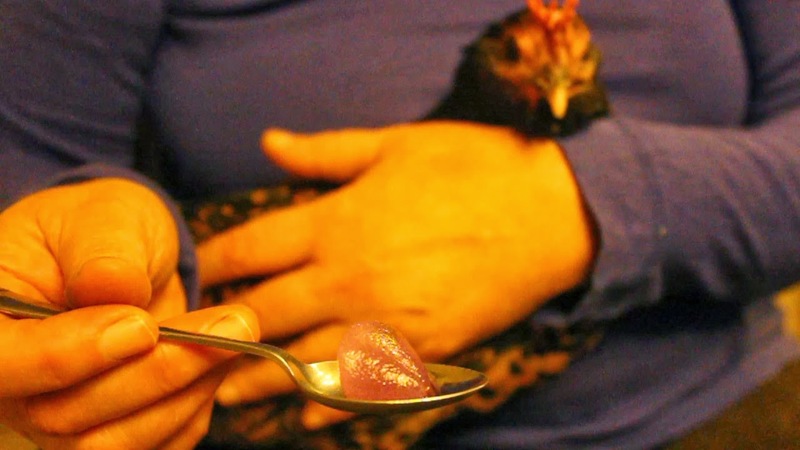 They are both edible so there is no problem, as usually happens when giving eye washes, eye baths and compresses to poultry, if some of the liquid is imbibed by the patient. My first infusion is so beautiful I'm sure the perfume it exuded as it melted from its frozen state, reminding us as it did of warmer and drier days, did a lot to help in Clementina's cure. The simplest way to prepare rose water is to take the petals from the heads of your roses and pack them tightly into a cup or jar. Using the same recipient, measure double the amount of petals in mineral water. Bring the latter to the boil, pour it over the petals, cover and leave until the water is at room temperature or until the petals have lost their colour. Drain off the water making sure to squeeze out the petals. You will be left with a beautiful coloured and scented liquid. This you can either store in a refrigerator for up to a month (I don't have one) or as I do, freeze in an ice cube tray or bag, from which you may cut chunks as needed. Rose water compresses should be given cold so using the rose water from the freezer, just as it has melted, is ideal. I did find with my rose water that it contained a little residue from the petals, so I used the cotton wool pad itself as an extra filter, thus placing the undipped side against Clementina's eye. I was reading a web article recently which advised against making your own compresses because of the lack of sterility of the pads. Whereas, I would be more worried about the potential poisonous residues within the fabric. Given that 25% of the World's pesticides are used in the cultivation of cotton, I am really happy to have been able to obtain a large supply of certified organic cotton wool. I found these priced a few centimes per pack at our local thrift shop. It sells 'over stocked' goods and those which have imperfections, a classic being 'the Princess and the Six Elves Garden Set', an obvious malentendu between manufacturer and client for Snow White and the Seven Dwarves. The biodegradable bag the cotton wool was contained in split along its seam once I had opened and closed it on the drawstring a couple of times, which I presume was the problem. So if you have a similar discount shop in your area it might be worth paying them a visit. 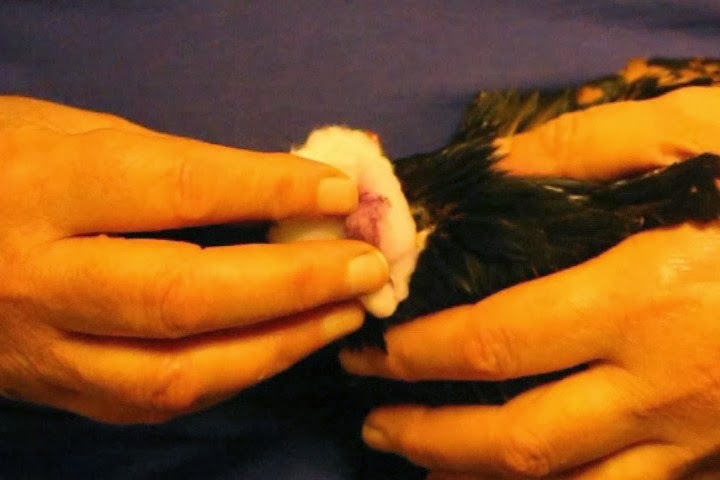 The compress can be held against the eye for a few minutes but do not keep it on if your hen exhibits too much stress as you will be defeating the object. In this latter case it may be better to give the eye a 'bath' which is obviously of a much shorter duration. I will demonstrate this in the next section. The compress is also a very useful way of opening an eye which has been stuck shut due to conjunctivitis, for example but always remember to use a fresh compress for each eye. Here in France, where the tisane or herbal tea is just as common a beverage as coffee, dried organic herbs for making a whole raft of them are readily available. Medicinal dried herbs are also found at high street chemists/pharmacies. Furthermore, in the larger towns and cities a pharmacy may have a dedicated herbalist offering loose herbs which may be bought by weight, this is where I purchased the euphrasia pictured below. You can also order herbs from a pharmacy and most can be delivered within 24 hours.This the French paradox, where allopathy, homeopathy and herbalism and many other traditional medicines coexist and there is a market for both and often from the same clients. In Europe, Euphrasia officinalis has been used as a medicinal plant for diseases and conditions of the eye since the fourteenth century and in particular those associated with the various forms of coryza (catarrh). To make the infusion, take one teaspoon of the dried herb and add to 100 ml of boiling mineral or distilled water, let the mix boil for 2 minutes. 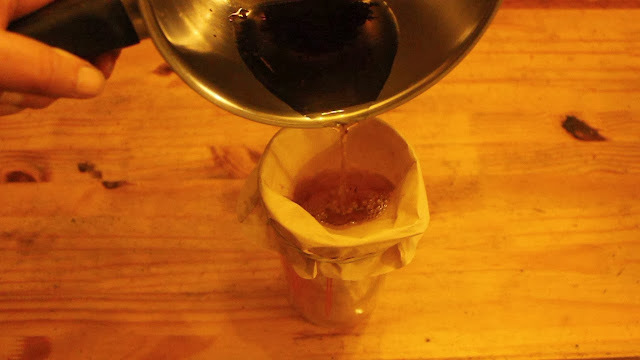 Remove from heat and leave to infuse for a further 10 minutes, then strain through a filter (I used an unbleached coffee filter). This infusion should be used whilst warm and will keep for a few days in a refrigerator. 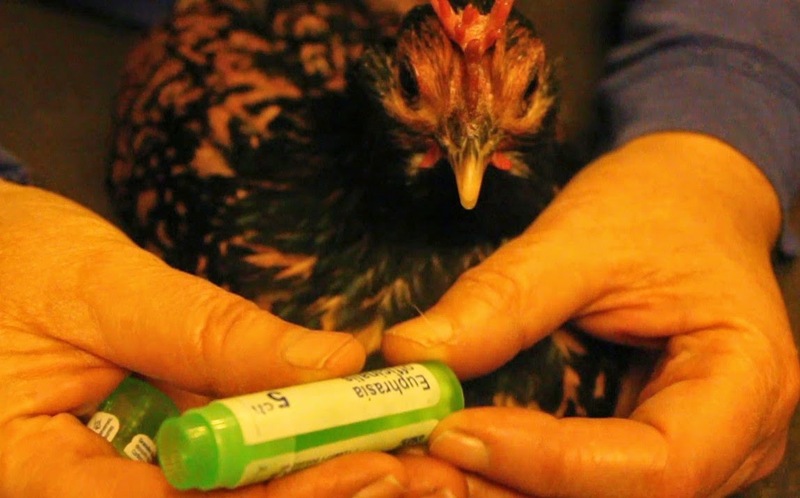 To use as an eye wash or bath, get the hen comfortable on your knee and then simply run the infusion into the eye. This may look messy but I have found it works extremely well, particularly in the case of conjunctivitis, where there may be bubbles and crusty residues in and around the eyes. Thanks for dropping by and please feel free to share this article, comment, ask questions and/or relate your own experience of herbal infusions for eyes. Treating eye problems & facial swelling. Assessment-Observations-Techniques. 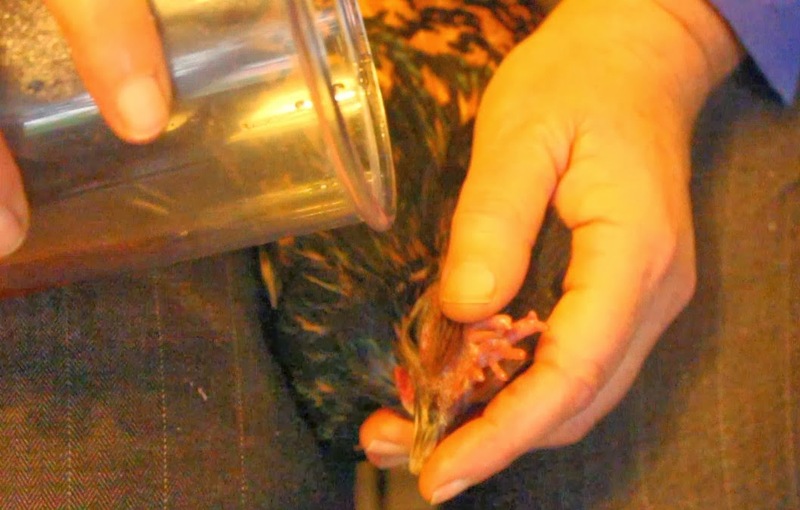 I've got a goopy eyed young pullet with no other (apparent) symptoms. I'd like to try some essential oils. Do you have any idea what would work and how to apply?